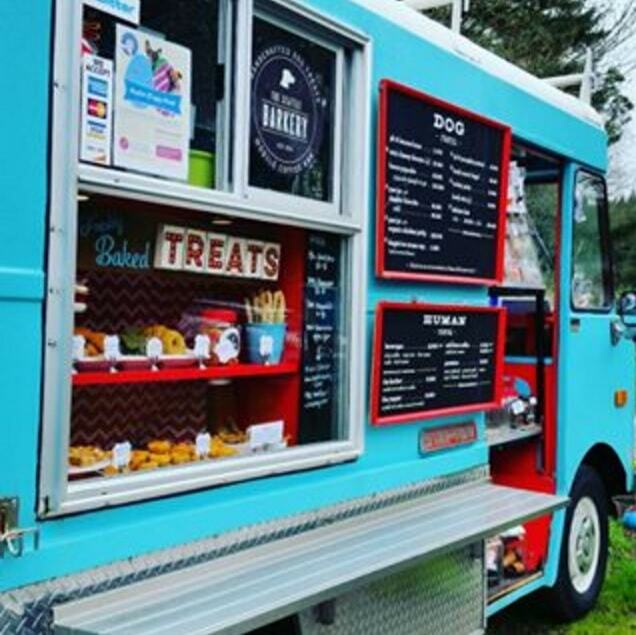 The popularity of food trucks in the United States has exploded recently, and in almost every major city there are a few that specialize in a particular style or flavor profile. This is great because it gives people options to eat foods that they may not have before. This is great for humans, but what about dogs? Is there a food truck for them somewhere? In Washington, the answer is YES! 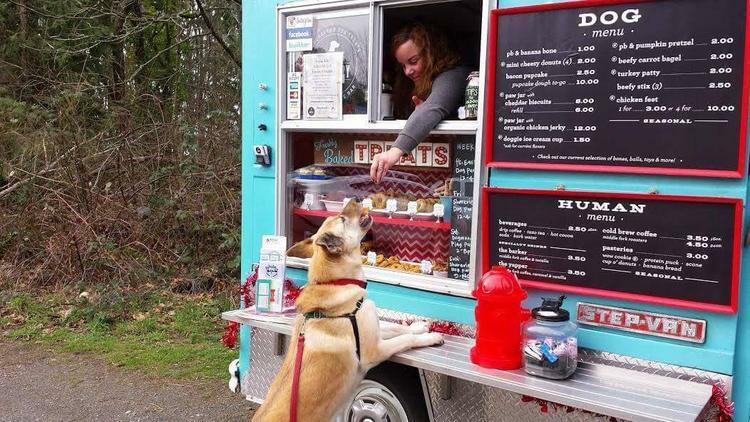 The Seattle Barkery is a new mobile café for dogs. Everything they make and serve is aimed towards giving dogs a similar freedom of choice like we as humans have. 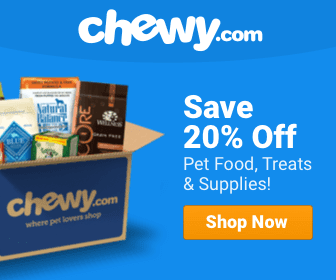 For their furry, four legged customers, they have everything from bacon cupcakes and peanut butter pumpkin pretzels, to chicken feet and duck necks. The Fords got the idea for the food truck after a short stint in the Shoreline Farmer’s Market. They were selling their wares there at the time, but thought that going mobile would only help their business. So, they purchased a food truck from someone, completely renovated it, and haven’t looked back. The Fords publish all of the locations that they will be visiting on a day to day basis. They use many forms of social media, but you can click here to be taken to a schedule. You can even meet their rescue dog Sherman, who is often traveling from place to place with them. Some people don’t get the idea of the food truck being geared towards dogs. They find that either people will order something from the menu, thinking that it’s meant for human consumption. It’s not that they don’t have food and such to offer the humans as well, but a beefy carrot bagel is intended for your dog. It’s either that, or they get mistaken for a hot dog truck. The Seattle Barkery is even expanding right now, and starting to carry treats for cats as well. Surprising enough, people want to purchase the treats for their other pets as well, regardless of the ability to bring them along on a leash. The Fords also put out a tip jar, but want people to understand that the tips don’t go to the humans working the truck. They actually donate the tips to the Old Dog Haven, which takes of senior dogs. Think of it like a retirement center for dogs. I love this dog food truck! Their treats are awesome and their coffee is really good too. Another reason to love the state of Washington!! This is an awesome idea! So great! I know these people and yes they would. They would do more than feed a stray, hungry dog. They would rescue it. Their hearts are huge and they love dogs. That is why they do all of the things they do. All of the food they sell is handmade daily. They work tirelessly on this business and are highly involved in the community’s animal rescue. Shoreline, lake City and other Greater Seattle locations. Check their website and Facebook pages. Jimi Holiday I wish they had this here! Hamlet what a great idea!!!! I loved this! I wish I lived there so that I could take my dogs to pick out some of their wonderful treats. They would love this❤️❤️??! Amber Hayes Frey lets do this! Fantastic idea! Glad to hear you help the needy ones too. Is this the type of food truck you were talking about ! Chuck DamonHeeter Chillout because I’m widdit!! Another reason this state rocks! Rafael, could definitely do this in Colorado! When ya`s coming to Delaware??? Bryanna Shaw! We need one of these close by! We have some in Nashville. Saw one at a doggy expo! Lubha Sharma Siddhartha Vatsavayi …. life goals..
Wrong. Chicago has had a dog food truck since 2011. Check out @fidotogo on Instagram. this needs to come to Houston. LOVE THIS. Great dog parks around Seattle also. Gregory R Johnson Michael Stirewalt have you seen this in Seattle? Heidi Reno check this out! ? Michael Badman I think I’ve found my next career! ?? Julie Dana, I will start this ine next to ya’lls!! Kathy Brown Seaman this is what I want to do for the rest of my life .. Scott Seaman can cook/cater for humans and I can cook/cater for dogs ?? There is one in Chicago I’ve seen it in Andersonville, treats, water, bones, and some supplies. Socrates Gomass you should do this!! ? Definitely not the first!! Research your facts! The 1st in Washington as the headline states. 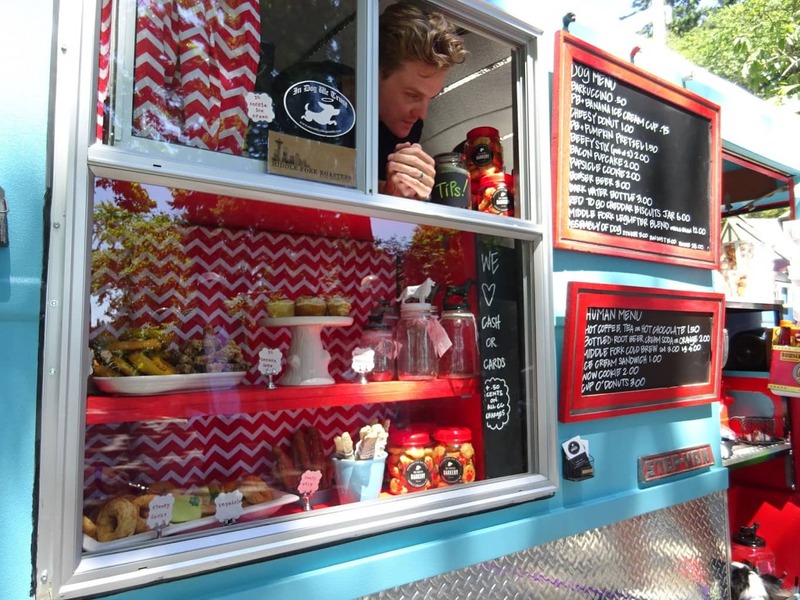 Sorry, but Chicago has the first food truck for dogs, called fido to go. It’s Been around for years!!! The article is headlined the 1st in Washington. Not true. Fido To Go in Chicago was the first and was around well before this company. Fido to go Dog Treat Food Truck I guess imitation is the best form of flattery. However, facts are facts and credit should be given where it’s due. Ryah Issa uhhhhh can you do this ?? Diana Levitt and we don’t move there why?! ? I so wish I could! Taylor Everett here is an idea!